Catching Foxes - Blog - New Contest to win Matt Fradd's latest book, "Does God Exist"
New Contest to win Matt Fradd's latest book, "Does God Exist"
Matt Fradd just released his new book, penned with Robert Delfino, entitled, "Does God Exist? 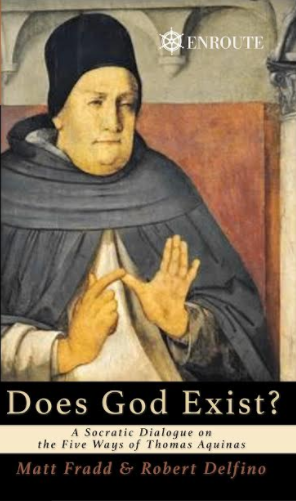 A Socratic Dialogue on the Five Ways of Thomas Aquinas". It's a great walk through the five ways and draws from a lot of Fradd's experience debating atheists. Use the hashtag "3outof5" so we can find it. Tagging Catching Foxes on FB or Twitter helps! Luke and I will tally up all the entries and select 10 winners at random. What is the deal with that Hastag? It comes from a reviewer on iTunes who was trying to be clever and said: "3 out of 5 couldn't catch these foxes". So, awkward and hilarious as that was, we decided to own it and celebrate it.